Polar Industries commenced trading in 2004, with just one car and one employee. The company’s owner, Daniel, has been in the industry for more than 16 years, during which time he has built strong relationships with some of the biggest manufacturers of electrical and refrigeration equipment. 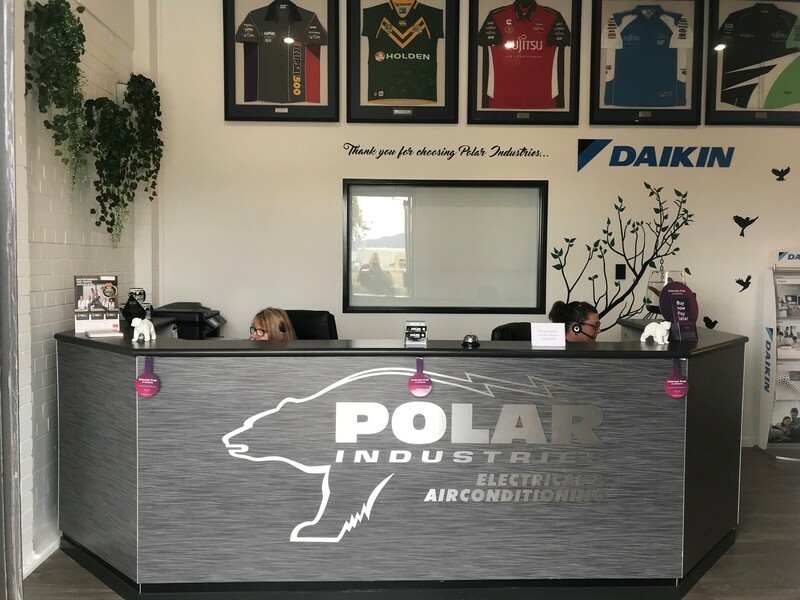 Now, with almost ten years in the field and lots of hard work, Polar Industries has become one of Townsville’s most reputable suppliers and installers of electrical and air-conditioning items. We regularly work with large businesses that require a dependable contractor, including local real estate companies, Tropical Homes and Parkside Development. Our company has now grown to a fleet of 10 company service cars, as well as almost 20 friendly staff to provide professional and efficient service to our clients. Polar Industries also employ two full time supervisors who are dedicated to quality control, which allows us to maintain high standards of workmanship while remaining a cost-effective choice. After working in the industry for many years, we identified a need for the installation contractor to provide after-sales service, including dealing with the manufacturer for any warranty questions. We service and maintain everything that we sell, so you can feel confident in selecting Polar Industries as your installer. When you deal with Polar Industries, we take care of everything. From the initial design advice and consultation to installation and after-sales service, we do it all at a reasonable price, without compromising on quality and professionalism.